We spend millions to create protected parks for wildlife and then a dentist comes from nowhere and kills the A-male of the park ? 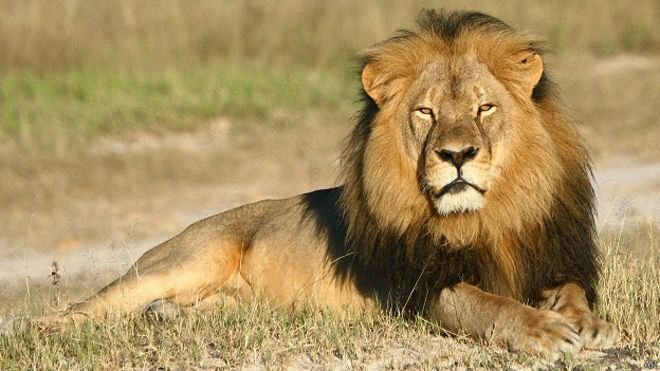 Really bad, but … now even animals have their martyr: Cecil the Lion. Rather it is questionable whether it is appropriate to change something in the US laws if someone like Walter Palmer – between 2008 and 2009 – had been ‘tweaked’ for killing a reindeer nurtured to revival, numbering about 4,000 in 22 herds, and a black bear about 40 miles outside the area he was licensed to hunt and falsely certifying the trophy. He faced up to five years in prison and a fine of up to $250,000, but, after the plea agreement, Palmer was sentenced … to one year of probation and ordered to pay a fine of $2,938. It is not a question of firearms (Palmer uses a crossbow) but of eniromental and social danger by these individuals and the limits to be placed on their movement.